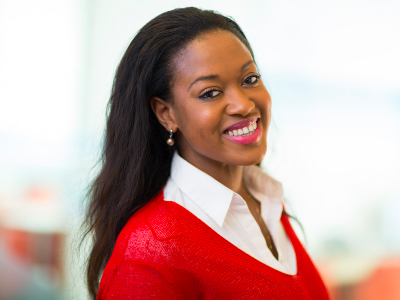 Sherah Beckley is Sustainability Specialist for Thomson Reuters, as part of their global Corporate Responsibility & Inclusion team. Sherah is the Editor of the Thomson Reuters Sustainability site and supports global corporate responsibility and sustainability efforts for the business. As part of her role, Sherah also leads a network of environmental ambassadors called “Green Teams” across their global office locations. 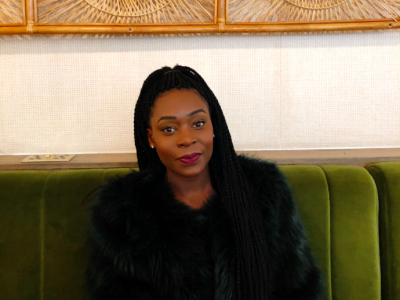 Born and raised in Ghana, West Africa, Sherah has a diverse and international background both studying and working in Ghana, Finland, and the UK and has a passion for international development particularly in Africa. 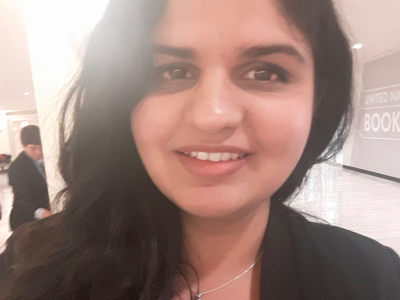 Sherah has previously worked in third sector, NGOs and financial services, and holds a BA Honours degree in Politics & International Relations from the University of Kent. I began my career in journalism blogging for Chaud Magazine in 2012 providing fresh and new content for Africans in diaspora. This inspired me to further my studies and I received an MA in Publishing in 2016. Once I had completed my Masters programme I took my first step into journalism writing for employee benefits B2B magazine, Reward. During my time at Reward I have been given full responsibility of the digital magazine and website. The result has been that our traffic has doubled in the last 6 months. I am also responsible for writing features, news and analysis for both print and digital. I oversee all our data analytics and have been using this to refine newsletter and online content and engage key audience groups. I have also created a data-led process to decide what articles we write, where they are put online and when to post them and developed CMS and HTML skills. I manage all social media accounts for the magazine(Twitter, YouTube, LinkedIn), leading to a growth in engagement and growth in Twitter followers. I have also recently launched the Reward Magazine HR Excellence podcast where I speak to industry figures about topics that relate to HR managers. This was created to diversify the content on the website. Lizzi Doyle is one of the most exciting prospects in UK radio. In a short but successful career to date, she has achieved wide recognition for her ground breaking ideas and delivery of award-winning programming at Radio City Talk in Liverpool. In the last year alone, she produced the biggest broadcast in the history of Bauer Media, the 24 hour “Mental Health Marathon” - the first of its kind in the UK. In 2017, she oversaw one of UK radio's most recent memorable moments - when UKIP Leader, Paul Nuttall, was exposed over lies told on his website about the Hillsborough disaster. Radio City Talk's coverage went viral across online platforms, as well as national TV, radio and newspapers. She worked alongside colleagues to launch the road safety scheme "Slow Down for Bobby" - which has been adopted across the whole Merseyside region. In her first year at Radio City, she produced an 8 hour show delivering the deliberations of the Hillsborough Inquests results. She has also played a pivotal role in the establishment of Radio City Talk's flagship mental health show "Mental Health Monday" which was nominated against multinational media organisations in 2017s Mind Media Awards. The show was also recognised at the IRN Awards 2018 and the Prolific North Awards 2018. "Slow Down for Bobby" won the O2 Media Community Journalism award and the Paul Nuttall expose was nominated as North West radio's "Most Memorable Moment”. 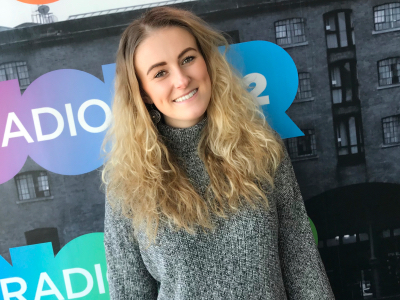 She also received an "Above and Beyond" Award at the Bauer Radio Awards 2017 for her work on the Hillsborough Inquest coverage and was named in this year’s Northern Power Women Future List. Charlie joined Bloomberg at the start of 2017 and rapidly expanded her network within the business across all departments. She regularly collaborates with colleagues from all business units, expanding her skills and knowledge of Bloomberg's core products and services. Throughout her career journey Charlie has always aspired to succeed and gravitates towards leadership roles. As a Project Manager for Bloomberg Media Studios within the Media division, Charlie has strong campaign management ability and a proven track record of achieving targets. She has experience leading agile project teams working across global campaigns, within a fast-paced and demanding commercial media environment. Confident when communicating with senior stakeholders, Charlie maintains a positive attitude and ensures she delivers flawless execution and customer service for business, finance and Government clients. Most recently she was nominated by management to complete the 'Pathway To Leadership' programme for high potential individual contributors around the world. Charlie takes a leading role in the Bloomberg Women's Community as Leadership Development Pillar Lead within the committee. She is passionate about developing the professional profiles of her peers and strives to co-ordinate a calendar year of events for employees at all levels to engage in. Charlie is a diversity and inclusion champion at Bloomberg. She encourages active participation in diversity activities across the Media department, sharing knowledge on company developments such as the Bloomberg Gender Equality Index. Charlie is a strong advocate for gender equality and champions creating opportunities for women in leadership roles. She actively encourages participation from male colleagues in the business to collaborate with and support current and future female leaders on their career journeys. As a Social Ambassador Charlie further amplifies Bloomberg Philanthropy activities through her social platforms. Looking back, Charlie had a varied start to her career. Initially focused on joining the British Military, she rose to the rank of Junior Under Officer in the University Officers' Training Corps based at Oxford. Tasked as a Section Commander of 15 Officer Cadets within a platoon of 50, Charlie motivated and trained individuals in preparation for field exercises to put military theory into practice. Alongside this she managed a nation student development programme, directing a cohort of 250 undergraduates through 10 week personal development programmes of direct sales over 4 years. This led to a role in a performance consultancy directed by an Olympic gold medallist rower; the organisation adopted Olympic winning strategies to develop high performance business training programmes. Charlie's first media role was at The Telegraph for 2.5 years where she was recognised as an aspiring leader by the management team and was rapidly promoted to Senior Project Manger for Business and Finance. Charlie is passionate about empowering future leaders therefore became a certified Career Mentor with the University of Reading, acting as a millennial coach, mentor and guest lecturer. Charlie holds a Bachelor of Arts degree in English Literature and International Relations with subsidiary modules in French from the University of Reading. Alongside her degree she also achieved level 1 and 2 'Leadership and Development' certification from the Royal Military Academy Sandhurst, which led on to her obtaining a level 5 certification from the Chartered Management Institute for 'Management and Leadership'. Katie is the Executive Director of the Financial Times' The 125 which is a forum that provides FT curated events for senior executives. 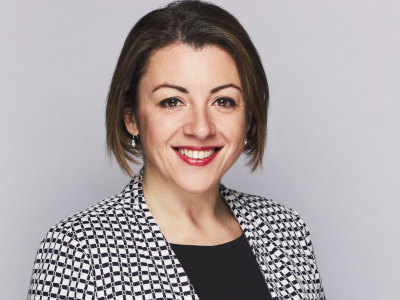 Since 2013, Katie has driven the prestigious international media organisation’s exclusive FT 125 Forum and later initiated the incredibly popular FT 125 Women’s Forum for mid-level career women. She is responsible for continuing to build one of the most well-regarded business networks for executives and across the Square Mile and beyond. Some of the past speakers at Katie's events have included Bill Gates, George Osborne (while still Chancellor of the Exchequer), Kofi Annan and also organised and hosted Mark Carney's first London-based speaking event after he was appointed Governor of the Bank of England. As well as her day-to-day duties, Katie has helped raised hundreds of thousands of pounds for FT charities through a number of functions and events, including more than $125,000 at a Christie's auction of original photographic prints held at the Rockefeller Centre in New York. Starting her career on the newsroom floor, Katie has been at the Financial Times for more than 17 years and has seen many changes in a varied career from global financial crises to a change of ownership. Jacinta is a Strategic Demand Generation Manager, who works at Dennis Publishing overseeing and facilitating digital lead generation campaigns. Prior to this, she was a campaign manager at one of Dennis’ biggest competitors in the space, TechTarget. During her time at the previous employer, Jacinta was responsible for the day-to-day management and ultimately, the success of her allocated EMEA digital programs. Jacinta holds a Bachelor's degree in Psychology from Royal Holloway, University of London. A discipline she hopes to revisit in future in a professional capacity. Jacinta believes in applying the best of oneself to every situation, being tenacious and helping people. Remel London is a bubbly, energetic, fun award-winning TV & Radio presenter and media personality. 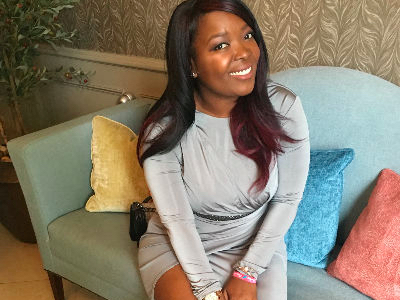 Since graduating with a BA Degree in Broadcast Journalism from the University of Leeds in 2010, Remel London has gone on to be a well known and loved TV and radio presenter, host as well as an online video blogger. Remel London is making waves in the industry after landing the lead presenter slot on SKY 1's What's Up TV and new weekend show on Capital XTRA. 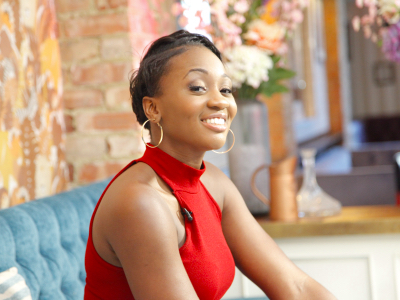 Remel has already worked as a lead presenter on Link Up TV, ILUVLIVE, Channel AKA and a host of mainstream TV networks. Remel previously hosted regular slots on BBC Radio 1Xtra. Remel and has racked up over 12K followers on Twitter, as well as over 3 million views combined across several YouTube channels that continues to grow each day. Her Presenting style is comedic, warm and relaxed which credits her healthy knowledge of all things Showbiz, music, and entertainment. As well as producing entertainment content Remel is a noted urban music specialist. Her music knowledge has caught the attention of major industry players, and she was made a member of the MOBO Awards panel in 2013-2015 and official Red Carpet presenter since 2016. Remel executively produced an independent entertainment show "The Show Room" in 2014 & 2015 and sets her sights on being an international radio and TV personality. Remel London is also very passionate about her local community and is the founder of the highly recognised Showcase and Networking event The RateMePlz Live Show created to support emerging talent across the country. Remel continues to host commercial, corporate and charity events, awards shows, festivals and concerts wowing audiences in their hundreds and thousands. 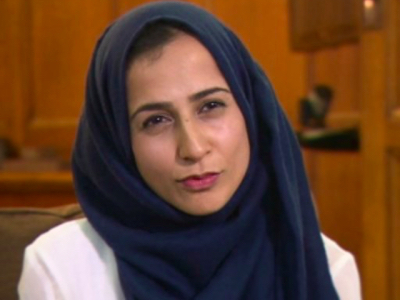 My name is Chayya Syal and I have been a journalist for the last eight-nine years. I've worked across print, radio, broadcast, digital and video for a range of media outlets in the UK. In addition to my media experience, I also created a blog named Avid Scribbler, and wrote weekly blogs for five years. Here I wrote about my experiences as a British born South Asian woman living and growing up in a post 9/11 world. The topics I wrote about ranged from the psychological impact this event had on the psyche of millions of South Asians across the world, social expectations from various South Asian cultures on women and how this affected those of us who had been born and raised in a Western environment. The blog attracted a global readership of 14,000 in five years and saw me being featured on national radio shows for my opinions on tech, ethnic identity and social issues. I have had a passion for writing stories, reading and creativity from a young age. This is what drew me to a career in journalism: my love for storytelling and finding new and innovative ways of getting stories from unheard communities and bringing them to the attention of mainstream media/society. More recently I have been able to fulfil the latter. I was thrown into the world of coding after applying for the BBC's first ever Coding Journalism Pilot Project. I applied for the work scholarship because I taught myself basic code when I set up my blog Avid Scribbler back in 2012. In addition, I love tech (I am always trying out new apps and reading up on tech trends) and have been trying to find a way to fuse my journalist brain with technology. So when the Coding Journalism Project came up I went for it!! I went from someone who couldn't code (apart from basic HTML) to one who can create test chatbots, learnt to code in 4 languages and build computer programs/products in 12 weeks. Three years ago I entered the BBC because I wanted to make a difference. I grew up in the heart of Bradford, in an inner city area steeped with deprivation but bursting with diversity. My family ran a Corner shop that brought the whole community together. It cemented my early years. After I graduated and tried different ventures, I realised that I wanted to capture the stories I had grown up in. I wanted to share the experiences of those who you rarely see in Mainstream media. And that’s what I have been doing. My journalism is very proactive, so I spend a lot of time going out into different communities building bridges and seeking out people who are quietly doing their work without any limelight. It is the hard work of these individuals I like to share. I also have built a reputation of uncovering stories that are often seen as taboo. I believe in ethical responsible journalism. That is, to tell a story without sensation, to tell it in a way that can encourage discourse and debate. Rachel was appointed by the Prime Minister to the board of Trustees of the National Portrait Gallery in April 2017. She sits on the panel for Film London’s Film Hub, contributing to policy and strategy for promoting non-mainstream cinema. She is a Freeman of the City, and an active member of the Guild of Entrepreneurs. 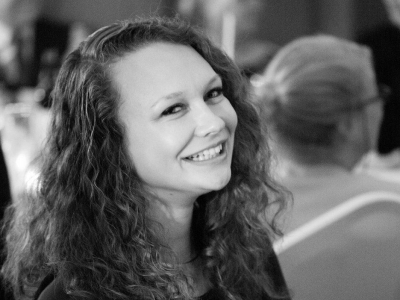 Rachel was recently invited to be on the UK Council for Creative Industries Federation. Rachel will be awarded an Honorary Doctorate from University of Law in April 2018 and in July 2017 Rachel was awarded an Honorary Doctorate in Business from Middlesex University. Last year she became a Leadership Fellow at St.George’s House, Windsor Castle. Rachel won the Women in Social Enterprise Award in November 2017 and was nominated the Entrepreneur of Excellence Award for National Diversity Awards. 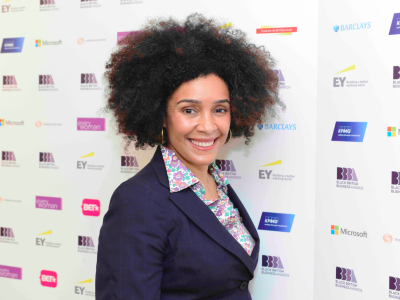 Rachel became ‘Lead Entrepreneur’ at the Black British Business Awards in October 2015. Before founding Chocolate Films, Rachel studied at Bristol University and did the CPE and LPC at the University of Law, becoming SFA registered when she worked in the City as a Corporate Financier. As a film director, Rachel is fascinated by social documentary. Her acclaimed feature documentary ‘Afro Saxons’ followed a year in the lives of the competitors in the UK’s biggest Afro-Caribbean hair competition. She is currently producing the largest ever documentary series produced about a city, www.1000Londoners.com , which comprises 1000 short video portraits of the most diverse range of people who identify themselves with the city.